If extensive restoration of a tooth is required due to aggressive wear, decay or fracture, a porcelain dental crown may be the best solution. A dental crown completely encases the tooth, sealing and binding it together. Crowns can last for more than a decade. Some patients will have it for a lifetime! At LT Dental, we use only all-ceramic dental crowns due to the excellent aesthetics provided by this material. 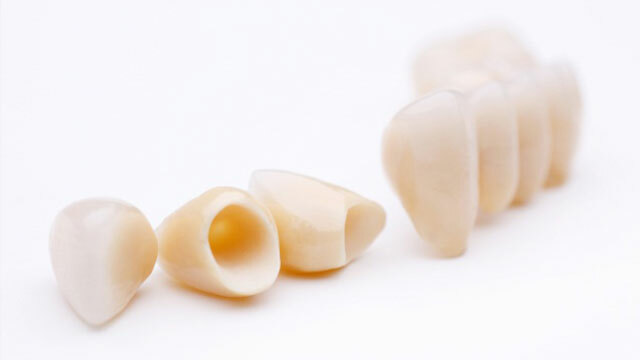 Unlike the old technology of metal/ceramic dental crowns, all-ceramic material allows us to be more conservative in tooth preparation, keeping as much natural, healthy tooth structure as possible. 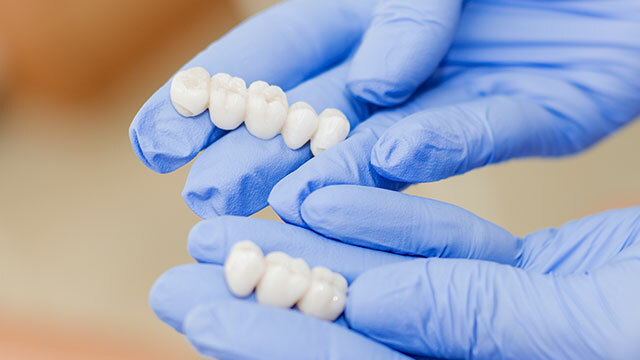 Dental crowns ensure the long-term health of badly broken down teeth, in any area of your mouth, especially where the restoration needed is extensive, or in a high pressure area such as the molar teeth at the back of the mouth. They can also re-shape and align misplaced, discoloured teeth. Dental crowns have improved dramatically with new techniques and materials, so forget any memories you have of dark or opaque old-fashioned crowns, with unsightly dark margins at the gumline. Using the latest porcelain technology, we’ll create a beautiful and functional dental crown specifically for you. LT Dental’s artistic eye and expertise in assessing your facial shape ensure your dental crown will look and feel just like real teeth. We can also replace your existing old dental crowns for a more aesthetic appearance. Speak with us today about how we can provide you with quality dental crowns and bridges that last. Simply fill out our contact form and we’ll contact you quickly to book your free consultation. Or, if you’d prefer to talk, please call us on (08) 9328 5027.